An energetic and deserved win at the London Stadium provides a stay of execution for birthday boy Slaven Bilic. A wise man once said ‘Football’s a funny old game!’ At last, there are points on the board, a rare clean sheet to celebrate and a welcome birthday present for forty-niner Slaven Bilic. It was not a classic game, the football was seldom slick and the team still had a disjointed look; but there was no doubting the effort put in by all and sundry and the vastly improved levels of fitness on display. The intensity was several levels higher than anything we had previously seen this season and that effort, in itself, usually translates to the mood of the crowd. 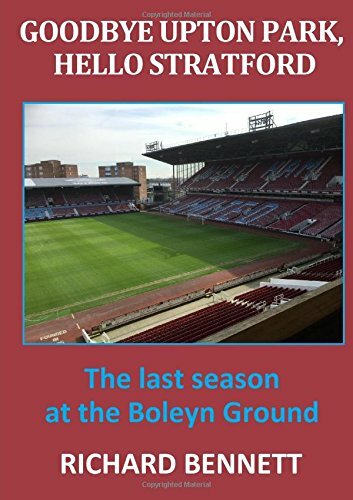 Why it needed to reach crisis point before there was a reaction is a mystery; but not one that is unique to this set of players in West Ham’s history. One game does not change a season but it gives Bilic a platform to build on and to prove to the doubters (of which I am one) that he can be a competent manager. As they say ‘you can only beat what is in front of you’ and that was accomplished with relative ease against a strangely unadventurous Huddersfield side. There was a huge slice of luck for the first goal (I wonder where the ball was headed before it hit the defender’s back) but we had squandered a handful of decent chances prior to that and clearly had the upper hand. Sometimes in sport a change in fortunes can be sparked by the most accidental of incidents. The visit to West Brom next weekend will provide more of a clue as to whether this will become a corner turned or a mere arbitrary wobble. A flat back four or three at the back is one of the hot topic arguments in football at the moment. Listening to many you might be led to believe that it is a binary choice, that you must always elect to play one system or the other. Many will insist that West Ham are more solid with three at the back while others will swear blind that the exact opposite is true. As I see it, a good team should be able to slip effortlessly between the two and that different opponents might require different solutions and different set-ups. Recent history has seen us stick with one or other until a heavy defeat occurs when we revert to the other; rinse and repeat. The back three was the right call against Huddersfield as it released the wide midfield players from most of their defensive duties. Many of us were concerned that Zabaleta might not have the legs to carry off a wing back role but he did OK on fitness even if the quality delivery was not quite there. Equally Cresswell had his most effective game for some time. The presence of Reid on the pitch is always a boost and Collins, despite his lack of finesse, can be a colossus at times. I would love to see Rice given an occasional chance as the one capable of carrying the ball out of defence as an alternative to Route One. The Midfield Mix: Little Pea Cast Adrift? I didn’t see any mention of the reasons why Noble did not feature in the match-day squad; perhaps it was an injury, convenient or otherwise. Great servant and character that he is, his days as a regular starter seem to be over where his presence serves to slow everything down as we contrive play possession football well in our own half. The inclusion of Obiang and Kouyate worked well and gave the team the springboard to play at a far higher tempo; with the majority of our possession in the opponent’s half. Obiang is the best defensive midfielder at the club by a street that is longer than a country mile, why he gets overlooked is weird. Pace, power and athleticism are essential in the modern day Premier League football and with Antonio and Carroll added to the two central midfielders there are players able to mix it physically with the best of them. The questions that arise from our formation are: the implications of playing Hernandez in a wider slightly withdrawn role which is contrary to his ‘fox in the box’ instincts; and how is a creative player such as Lanzini accommodated (or for that matter Arnautovic)? The formation deployed and with Carroll spearheading the attack almost certainly guarantees a very direct style of play. Possibly acceptable when desperate for points but as a footballing philosophy it is not necessarily the greatest entertainment, and not a significant upgrade from Big Sam style. Maybe Andre Ayew’s best position has finally been discovered – super sub. I have rarely seen him make a significant impact on a game as a starter but to come on with less than half an hour remaining with the score at 0-0 and contribute an assist and a goal is not to be sniffed at. Mind you his assist was of the type that brings that particularly statistic into disrepute; a standard short range pass to a colleague well away from the danger area is not really opening up a defence is it? On the other hand he does have a knack of popping up in the right place for tap-ins and his conversion from Cresswell’s corner effectively sealed the game. A player who never does enough to justify a start but is worth having on the bench; but you could say that about a number of our players. The Boot is on the Other Foot: Was Reid Lucky? The boot in the face tackle by Reid on Mounie elicited something of a social media brouhaha, mainly from disgruntled Liverpool supporters still smarting over Mane’s red card, and the ensuing red faces, following annihilation at the hands of Manchester City. A similar incident also occurred in the Swansea – Newcastle game where Ritchie was shown only a yellow card for a foot high tackle on Mawson. The majority of fans interpret these situations according to who they support, or hate the most, but most commentators appear to agree that referee Friend was right not to punish Reid, and in fact did not even award a free-kick. Graham Poll suggested the referee’s decision was right in the Mane and Reid incidents but wrong for the Ritchie one. Fans moan about inconsistency and I guess this is where the argument for video referees comes in; but I am not sure that is always going to help if factors such as intent or how badly the opponent appeared to be injured are taken into account. The question of intent confuses me tremendously. I have no idea whether intent is technically allowed for in the way that referees interpret the laws of the game but it can be seen in practice every week with handball decisions in the area.